Virtualenv is a great way to manage Python environments. Today I ran into an issue when I had to run the script parts of which required sudo privileges and the rest of it needed all my virtual environment packages. When we run sudo all virtualenv settings (environment variables, aliases, functions, etc) become unavailable. Adding this lines to my script saved me a lot of trouble – now I have my environment available when I run sudo! Now we can access LABEL_TEXT variable by searching for it’s value in Info.plist. If we build and run sample project using Xcode SDK, we’ll see the label with the name of the largest planed in the Solar system. This will install the app into your simulator. Now we can go to the simulator, press app icon and observe the effect of user-defined variable. Instead of showing the name of the largest planed in Solar system, the label now shows the name of the smallest planet! Simple as that, we build the app we can run in simulator using the command-line arguments! Currently there is a but in iOS8 custom transitions. When the custom transition is complete, i.e. 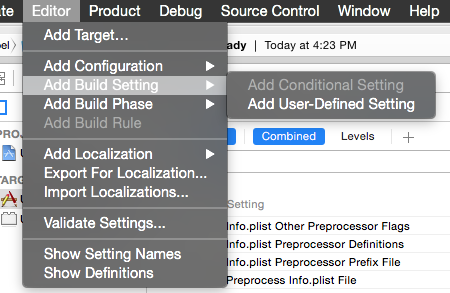 [transitionContext completeTransition: YES] is called, UIWindow shows empty with no view hierarchy at all. That is seen as a black screen which is appearing instead of destination view controller’s view. Recently I had a chance to get “Learn iPad development and advanced iOS programming” from Equonix Learning Solutions and wanted to share what I have learned about UIKit animations. UIKit offers several animation properties for UIViews, for more extensive animations it is better to use Core Animation. These are class methods on UIView, so they can be called on several views. Completion: blocks can be used to chain animation together. Reason: with ARC the runtime needs to know what to do with the result of the method we are calling. The result can be anything: void, int, char, NSString, id etc. Usually this information is contained in header of the object type we are working with. What ARC can do with the return value? The call to methodForSelector: assumes that the return value of the method is an object, but does not retain/release it. So, if the object is supposed to be released, there can be a memory leak. What if return value is void? From the compiler perspective it is still an object, so it gives us warning to prevent garbage pointer value being retained/released and crash of an app. Imagine that we need to change color of custom annotationView, when an annotation has been selected. Multithreading implementations vary a lot, from low-level APIs (like POSIX pthread) to very high-level, which are built on top of low=level and they are friendlier and easier to use. In this respect, NSOperation is higher than GCD, which still has a lot of complexity. Thread – a unit of execution, generally expected to share memory and other resources with other threads and managed independently by operating system scheduler. Every UI code runs on main thread. 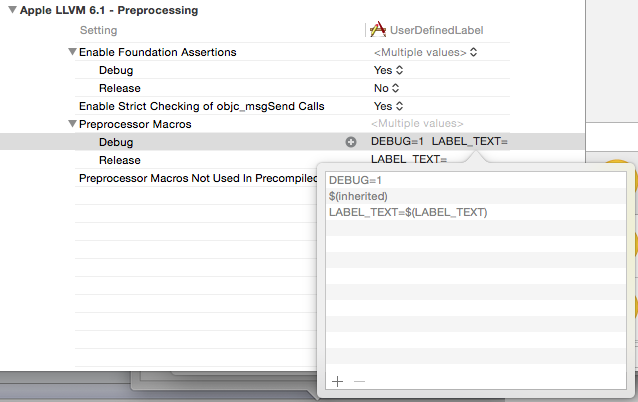 Process – instance of program that is being executed. One process can have one or many threads. Concurrent operation – takes place in a different thread than the one it was started in. Condition – will prevent thread from processing if not met. Used for synchronisation purposes. Critical section – piece of code that access shared resource that must not be accessed by more than one thread. Mutex – “lock”, requirement to ensure that no two concurrent threads are in their critical section at the same time. Mutexes and conditions are examples of Semaphore – protected variable that restricts access to a shared resource. Operation objects are instances of NSOperation and they encapsulate code that we want to perform. To use NSOperation, we must subclass it. There are two subclasses available, and being used most of the time. For special cases, we can create our own subclasses. NSInvocationOperation – instantiated by using already existing object and selector from an application. NSBlockOperation – can use this class to execute various block objects at once. Dependencies – can make an operation execute after another one had finished. Operations commonly are executed by adding them to queue. REST (Representational State Transfer) is an architecture style for designing network applications. It was introduced and defined in 2000 by Roy Fielding in his doctoral dissertation. Unlike complex mechanisms (For example, Remote Procedure Calls (RPC) where the calling arguments are passed to the remote procedure and the caller waits for a response to be returned from the remote procedure), it uses HTTP to connect between machines. HTTP is the underlying protocol of World Wide Web. It defines how messages are formatted and transmitted, and what actions web servers and browsers should take in response to various commands. HTTP is stateless, i.e each command executed independently, without any knowledge of the commands that came before it. 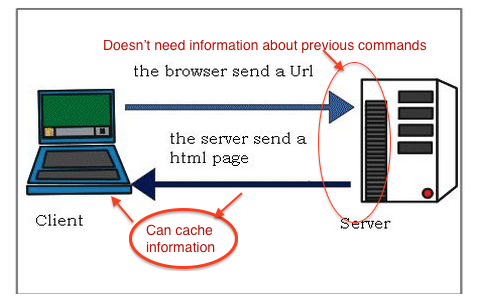 HTTP is client-server protocol, which treats this two part separately. Client sends request to Web server, which is responsible for document storage and retrieval, it sends the information back. HTTP is cachable, i.e. it allows the client side to cache information and has specifications for when a response can be cached. In this protocol caching is desirable so it’s explicitly designed for it. RESTful applications use HTTP requests to post data (create and update), read data (make queries) and delete data. A web of resources – a single resource should not be too large and contain too fine-grained details. Instead, the resource should contain links to additional information. Resources should be cachable when possible, to allow server to specify which resources may be cached and for how long HTTP cache-control headers are used. Proxy servers (intermediary servers) can be used to improve performance.